I’ve been back at work at the university all week this week. What this means, aside from time to get work done on my thesis, is that I’ve also get a bit of spare time to do some blogging. Yesterday, invited by Michelle over at Soliloquies, I wrote a letter on my writing processes. Today, again encouraged by her, I will be posting the first two chapters of my Faërie romance, On the Edge of Elfland. Please feel free to leave comments. What I’d particularly like to know is if these two chapters make you want to read more. Next week, I think I’ll also post my Arthurian poem for comments and criticisms. For now, please enjoy the beginning of my fictitious work. In the village of Carlisle, which is located in the depths of modern England, next to the mountain Dweormount, and in the midst of a small wood simply called, Fey Forest there was born a boy called Alfred Stidolph. There was nothing particularly remarkable about Alfred’s birth. He was born on 25 March with no pomp or circumstance. There were no shining stars in the sky that day that ought not to have been there. Nothing particularly special happened in the village to signify the birth of this boy. No, he was born like any other child. His parent’s had named him Alfred after stories an old man in the village had told. They loved this old man, a certain Mr Oliver Alvin, and made him Alfred’s godfather at his christening. Alfred’s parents were the proprietors of an old fashioned style inn, which was well known for the quality of its beer and the scrumptiousness of its food. The Broken Spoke, for so the inn was named, did not have any of those trendy things one finds in pubs throughout the rest of England. It lacked televisions, gambling machines, loud music being played (unless it was one of the local bands who played there on occasion). The layout was more like a mismatched home than a restaurant and that is just how Alexander and Jessica, Alfred’s parents, like it. Most nights, if you were to enter The Broken Spoke, you would likely here Mr Alvin telling one of his stories. There were typically stories of the fantastical and dealt with local myths and legends. As Alfred grew into boyhood, he came to love these stories. Most days would either find him sitting in the pub listening to Mr Alvin or running about in Fey Forest pretending he was having his own adventures. ‘A bird,’ said his mother. ‘A deer,’ said his father. ‘Well then, tell us, Alfie,’ his mother replied. ‘Did it, now?’ his father said with a grin. ‘What did it say, Alfie?’ asked his mother. His godfather sat in silence. ‘Why it didn’t say anything, Mum. It just went about its business until it noticed me and then flew away fast. I tried to follow it, but it went up, up into the trees where I could not follow.’ He said this with a hint of sadness. ‘Oh, oh. I’ve never heard this one. Do tell it, Mr Alvin,’ said Alfred excitedly. His parents smiled, having heard the story many times before themselves. “’The Tarnished Bell,’ thought old Henry Bucklin to himself, ‘that isn’t a bad name for my tavern, not a bad name at all.’ So the next day Henry set about making the sign. He worked well into the evening to the point where he had fallen asleep with the sign unfinished. “Now, there happened to be a group of brownies that lived near the tavern. ”What are brownies?” asked Alfred. “Really?” said Alfred with excitement in his eyes. “Yes, really. Now then, the brownies had been watching for some time to see if there wasn’t a way they could earn their names, and this was it. ‘The old man has finished carving the sign, it simply needs to be painted we could become Painters and have our surnames, finally,’ said Alan, who had become the leader of this small group of brownies. The brownies agreed that this was their best chance, so after Henry Bucklin had fallen asleep they snuck into his room in the tavern and finished painting the sign for him. They toiled all through the night creating beautiful colours as only a brownie can. You see brownies, as soon as they set to a task, become extremely efficient at it. It’s why a brownie must choose carefully what job they want to do, because once they choose they’ll only be good at that job and it is very hard for them to change vocations, but that is a story for another time. “I highly recommend, if you can ever help it, lad, never anger a brownie. He takes on many impish tendencies when you do and he will find a way to cause you harm or at least extreme annoyance. “Well, for the first week or so after the brownies had finished Henry sign, things went well for Henry, people were frequenting the Tarnished Bell, travellers liked the rooms enough to recommend them to others, everything was running smoothly. It was at the height of his success that the brownies struck. “Why do brownies keep little knives?” asked Alfred. “Ah yes, this caused Henry much trouble, as he was unsure as to the reason of these occurrences. On top of that, patrons of the tavern visited less often and most spoke of the tavern as the home of the broken spokes. “It’s said that Henry later met with the Painter brownies and that they made him a new sign in place of both the one they had made and the one Alfgar and Henry had put together, and that that is the sign we see today protected by the brownies’ magic from wear and tear. “It’s also said that Henry made a deal with the Brownies to never change the name of the tavern out of respect for them. Alfred was delighted with the story and he clapped loudly. His parents smiled, loving that the inn they had purchased not long after arriving in Carlisle was so storied. Life went on in much this way for some time, Alfred telling stories of seeing all manner of fantastical creatures in the forest, and Mr Alvin telling them fairy-stories about the village of Carlisle. It was not, however, to last. Alfred was often teased when he spent time with other boys and girls his own age, especially as grew older. The age of twelve was particularly difficult for Alfred. Nearly a teenager and having some of his friends and schoolmates already in their teens, it was deemed inappropriate by them when Alfred would continue to profess belief in Father Christmas. Already in secondary school things progressively got worse as the cruelty of some of his schoolfellows became worse with age. He often found himself with his things spilled all over the ground, having been knocked out of his hands when he mentioned elves or fairies. Alfred’s parents were beside themselves with worry. They decided it was perhaps best if Alfred spent a little less time with his godfather. Mr Alvin continued to tell stories in the pub, but they usually kept Alfred busy during those times. The forest remained one Alfred’s only escapes, but even it had become less of the safe haven he had once remembered. It began to feel colder to him: not colder in temperature, but less friendly. If Alfred continued to see things in the forest he kept it to himself now. There were times, however, when his parents were uncertain whether it was a fear of bullies or a fear of the forest that kept him quiet. Things came to a head one day when Alfred came home babbling like a madman. As Alfred walked home from the forest one day in the Autumn, he looked around at his surroundings, taking in the beautiful outdoors. (Carlisle is a wonderful town to see in the early stages just before autumn.) The leaves had already turned their different colours and were beginning to fall. The sidewalk upon which Alfred was strolling was particularly leaf strewn. Had it not been, he might not have heard the sound of someone walking behind him. Alfred quickened his pace. Alfred had been told that certain creatures only come out at night, but the sun was slowly setting. “If I can only make it to the corner, I’ll be home free,” Alfred thought. Just around the corner was his house where he could shout for his mother and father to come out and greet him as he came home. Then something quite unusual happened. Just before Alfred reached the corner, with the footsteps behind him quickening in the leaves, Alfred had a sudden boost of bravery. He ran, slid in the leaves as he stopped, about-faced and started to run in the other direction, toward whoever, or whatever, had been following him. Alfred had closed his eyes, involuntarily, as he made for the one following him. Thus, he did not see that nothing was behind him. As he continued to run, however, he opened his eyes just in time to trip ripping his pants and scraping his knee on the sidewalk. “Who tripped me?” Alfred exclaimed, as he sat on the concrete, nursing his wound. When no reply was returned, Alfred stood up and limped back home, not noticing a slight rustling in the bushes, nor the large ring of mushrooms next to him that bordered the side of the inn. His parents did not know what to do with him once he got home. ‘I was chased by a something, I think it was a goblin,’ he shouted as his parents tried to calm him down. ‘How can I calm down? I’m telling you, something was after me. I need to see Mr Alvin.’ His parents looked concerned. ‘I’ll go get him,’ his father said at last. It would not be quite right to say that in this moment Alexander believed his son. Neither, however, would it be quite right to say that he did not. Alexander was confused. Jessica was no better off. Torn between her own early belief in Mr Alvin’s stories and the pragmatism that had begun to set in as she settled down into family life in a family run pub, she wanted to believe her son and also to believe that evil things such as goblins could not possibly exist. She was able to console Alfred eventually, when the adrenaline had worn off. She cared for his cuts, fixed him some tea and sat quietly with him awaiting her husband’s return. Several hours went by and Jessica sat with her son in silence, holding him closely. Finally, she heard keys in the lock. The door opened and there stood Mr Alvin and her husband. She noticed the look on her husband’s face was one of confusion, or perhaps better, uncertainty. He took her aside, ‘I think we should leave those two alone. Come with me and I’ll tell you what Mr Alvin has said.’ What it was Mr Alvin told his father, Alfred could not hear. He had, instead to focus his attention on Mr Alvin who had now sat himself opposite Alfred. ‘Alfred, my dear child, your father told me about the fright you had today,’ he said slowly and sadly. ‘It was a goblin, Mr Alvin, I’m almost sure of it, it was chasing me down the lane. I thought they couldn’t be out in sunlight. I thought it killed them or something. You always say that they hate sunlight, but this one didn’t. Or maybe it was something, are there other evil things in the forest?’ Alfred’s eyes were wide, his voice quick. ‘Stay away, boy.For now you must stay away. But never stop believing.’ He added in a whisper. If Mr Alvin realised he had just contradicted himself, he did not let on. He simply walked out of the inn. Alfred, teenager though he was, wept. His parents tried to console him as best they could, but for weeks Alfred did little but go to school and come home again. He began to play video games and watch television, reading only occasionally and mostly for school. It took months before he ventured back into the forest. His mother began sending him for mushrooms every now again, going with him the first few times and then sending him on his own. It was even months before Mr Alvin started telling stories at the inn again. When he did, Alfred, if not already otherwise occupied, would go to his room. Life at home continued this way for many years. Alfred went to university, studied literature, and returned home, uncertain of what to do with his life. Michelle over at Soliloquies––an excellent blog that mixes philosophy, life, and writing––has invited to participate in a Writing Process Blog Hop. She has previously invited to a similar ‘event’, though in the previous case it was an award of sorts. I was remiss in not attending to the previous invitation and so willingly and gladly do I participate now. The Writing Process Blog hop invites bloggers to answer four questions about what, how, and why they write. The bloggers are then encouraged to recommend three other bloggers to do the same. With that in mind, here are the questions and my answers. Already this is, in many ways, a question which will perhaps receive an unusual answer. Like my Inviter, I work on both academic and fictive/poetic writings. On the academic side, I am currently finishing my PhD thesis which is provisionally entitled, Being Deified: Poetry, Theo-Poetry, and Salvation History. In this work I argue that the Christian notion of deification (in Eastern Orthodoxy typically referred to as theosis) is integral to the Christian faith. I show this by arguing for its deep rootedness in Creation, the Fall, the Incarnation, Redemption, and the Age to Come. Alongside this, however, I argue for the importance of human creativity in our deification. I do this primarily through fantasy and poetry or the mythopoeic. On the fiction front, I have recently finished a draft of what I would call a Faërie Romance which has the provisional title of On the Edge of Elfland. It is a story about a young man called Alfred who grew up believing in Elfland thanks to the stories told to him by a local storyteller called Oliver Alvin. Having returned from university, Alfred has all but forgotten the stories of his youth until one day, searching for mushrooms in the local forest (Fay’s Forest), he stumbles upon a gnome, guardian and shepherd of mushrooms. Alfred will then find out that he is a seer, one who dreams the present and that his fate, as well as the fate of his village and the fate of Elfland are all inextricably linked. He will face against goblins, trolls, dragons, and the goblin king who is, in truth, something far worse. The story is filled with Arthurian references, but is not, precisely, an Arthurian tale. I may post portions of it on here eventually, if there’s any interest. I am also working on a short story for my twin sons recently born, wherein they find their way into Faërie and have several adventures. 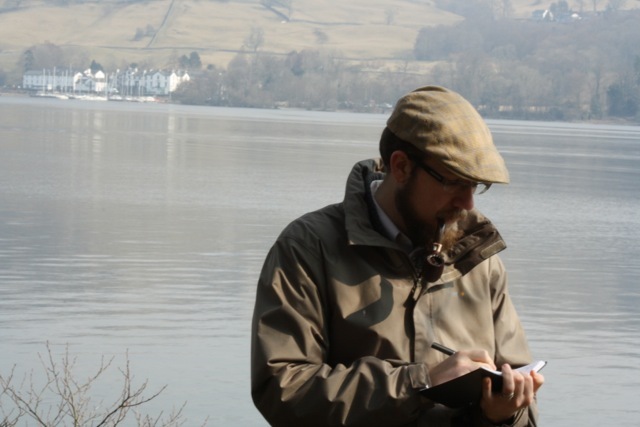 In poetry, I have written several short poems, some of which I have posted here, as well as an attempt at a narrative poem written in alliterative verse about Arthur and his cousin Gawain defeating a lake monster in Lake Windermere. In my academic writing, I am, I believe, doing something quite different. I draw from patristic, medieval, and contemporary theologians in order to found my theology. Then, however, I turn to fantasy and poetry in order to further relate the truths of theology. It is my firm opinion that being creative is an essential aspect of being human and of our being deified. Therefore, it is essential that we take into account the great works of human creativity. My own proclivity is for the mythopoeic and so my emphasis lies there. In my fiction, I am perhaps unusual in that I write, primarily, for an audience of one, myself. My work is not precisely Young Adult, nor is it precisely Fantasy as we often conceive of it. It is, or tries to be, Faërie Romance. If I have an audience beyond myself in mind when I write, it is an audience of the dead. I try to write something I pray my mentors would want to read, if inferior to their own works. In my poetry, I differ only in that I am, at best, a mediocre poet who prefers structure to free verse. I write (whether it be scholarship, fiction, or poetry) because I could do nothing else. I do not write to gain money or fame (writing, especially academic, is the wrong vocation for those ends). Instead I write because I must. I am not happy if I am not writing. This does not make me successful (whatever that means); nor does it necessitate that I am good at what I do. It only means that I must do it in order to fulfill my vocation. My writing process is different for each kind of writing I do. For blogs and often for poetry, my process is occasional. An idea will strike me because of a place I visited, a sight I have seen, or an article I have read. I then tend to ruminate on it for a few days before I sit down and begin to write it out. When I’m writing poetry, usually a line will present itself to me and I will begin to work around that line forming a structure, a meter, rhyme-scheme, or alliterative pattern. My academic writing tends to come from the books I have read and my personal reflections on the world around me. For instance, my current work could be said to have two beginnings. The first is in my mother having read The Hobbit to me since I was a little child. This instilled in me a love fantasy and poetry. On the theological side, it began when I took my first class in the history of the Early Church. There I was introduced to the likes of Gregory Nazianzen, John Cassian, Augustine, and others that has led me down the path of deification. When I set out to write something academic, I tend to write an outline first. My outlines are usually detailed at the beginning and fuzzy at the end. Then I read, take notes, write them into the outline, alter the outline as my research guides me. Then I make another copy of the outline, without the notes, and begin writing. I copy and paste quotations and references in where necessary and write around them. When finished, I usually read what I’ve written aloud, or have my computer do so, and make edits. When the occasion is available, I read my work to others for comments as well. For fiction, I have only ever worked consistently on one story that underwent such a heavy transition from when I first began it nearly ten years ago, that I re-wrote the entire thing from scratch, occasionally re-incorporating stories I had in the original draft. I am currently waiting until I finish my PhD thesis before I return to this story for the editing phase. 1. A Pilgrim in Narnia by Brenton Dickieson. Brenton writes primarily about C. S. Lewis, but his blog is truly a revelling in nearly all things Inklings and Fantastical. Brenton, however, does also do fiction writing, so I would personally be interested in his answers to these questions. 2. Mysteries and Manners by Maura. Maura is a Catholic English teacher, which already endears her and her blog to me. Being an English teacher (something I briefly considered myself), I would be interested on her approach to these questions about anything and everything she writes. 3. Having Decided to Stay by Bryana Johnson. Bryana’s blog, like Maura’s, is still new to me. However, after reading her excellent story about ‘The Stag Who Lived Forever’ over at Story Warren, I am intrigued by her as an authoress and curious to know more about her writing processes as well. Let me know what you think about my writing processes and make sure to check out the blogs I’ve linked to. Ta ta for now. I’m sorry I haven’t written lately. For those who don’t know, my wife just gave birth to our twin boys on 1 May 2014. We’re excited, tired (exhausted really), and learning what this parenting thing is all about. Today, I wanted to write to you about my sons’ names. I’m not sure when I first learned that names have meaning. I’m sure it was around the time I became a Christian (around 13 years old) and started reading the Bible. The etymologies of names in the Old Testament opened my eyes to the fact that most names are words in a given language with a given meaning. Once I learned this, naming became incredibly important to me. It seems to me, though I haven’t developed a philosophy or theology of this yet, that names are important. Names have an effect on the thing named. Whether its the etymology or history (others so named) naming, when taken seriously, I think will affect the life of a child. Therefore, my wife and I did not enter into naming our children lightly. We had settled rather early on that our firstborn boy would be called Theodore which means gift of God (for most meanings, I rely on the website behindthename.com). 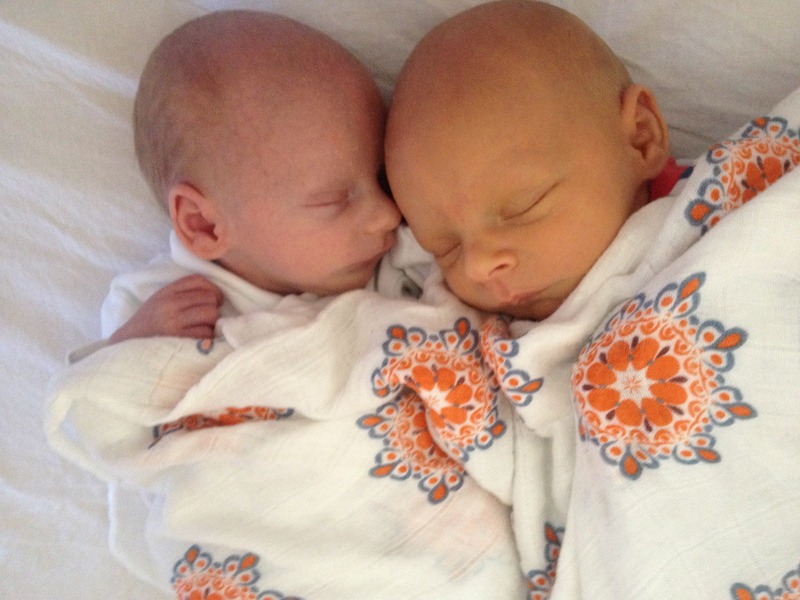 So, let me tell you about our boys’ names, why we chose them, and what they mean. Our firstborn, who came into the world at 12:36, is called Theodore Nicholas George Mosley. I already mentioned what Theodore means (gift of God, from Latin). We wanted to ensure that our firstborn was dedicated to God. No matter the roles we played in bringing our children into the world, they are still a gift from God. Nicholas is Greek in origin and means victory of the people. This name we didn’t chose precisely for its etymology (though I could easily theologise it). Rather we chose it because our church here in Nottingham and the saint whose name it bears. St Nicholas was a fourth century bishop from what is today Turkey (he was bishop of Myra). His feast day is 6 December. He was known for his generosity and his defense of Nicene orthodoxy. As it would happen, however, Nicholas is also the masculine form and the source for my mother-in-law’s name Collette. George is another Greek name and means farmer. This is a rather fitting name given both that I come from farming stock. However, this name was chosen more specifically for two reasons. The primary reason is it is the name of my late maternal grandfather. Grandpa George, whom I only had the privilege of knowing until I was about seven, was an excellent man. I loved going with him in the morning to raise the flag in his elderly community. We also chose this name because of the patron saint of England. 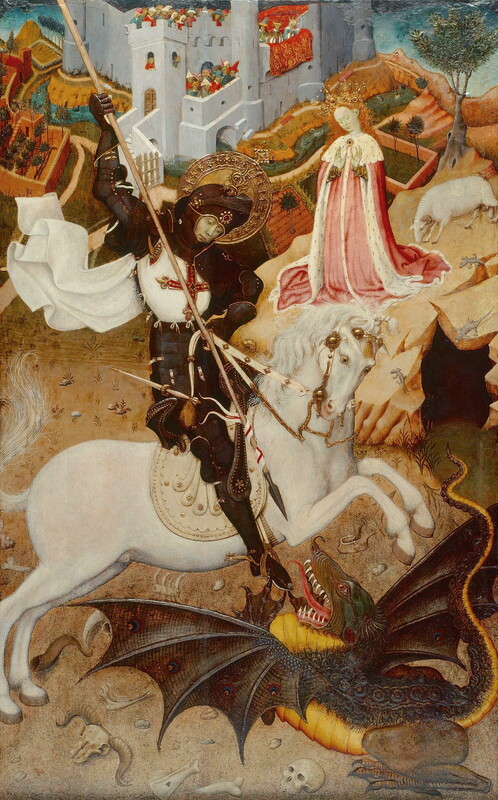 St George was a Cappadocian born Christian who, according to tradition, rebuked Diocletian for persecuting Christians. He was subsequently tortured and martyred for the faith. His feast day is 23 April. George is also known as a dragon slayer, which makes him all the more an excellent namesake for boys of mine. Our second son, who came into the world at 12:37, is called Edwyn Arthur Russell Mosley. 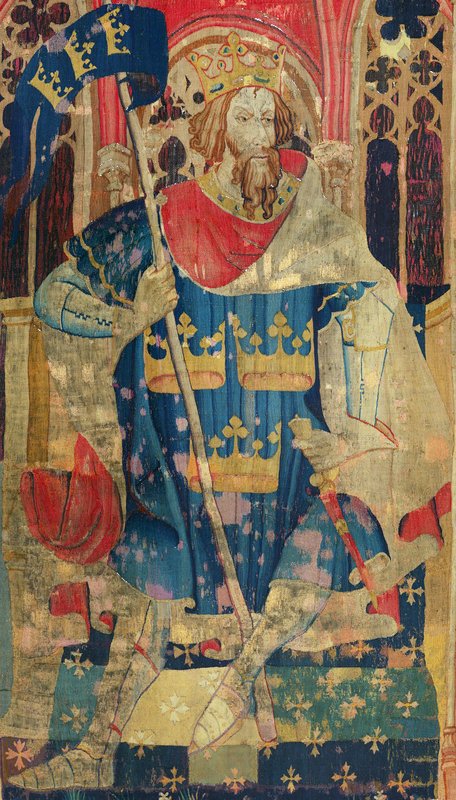 Edwyn is Anglo-Saxon in origin and means bliss friend. In some folklore, and particularly in the early works of Tolkien, is often paired with the name Alfwin (Ælfwine, Alvin, Elwin, etc.) which means elf-friend. That alone would make it (if not Elwin) an excellent name for one of my children. 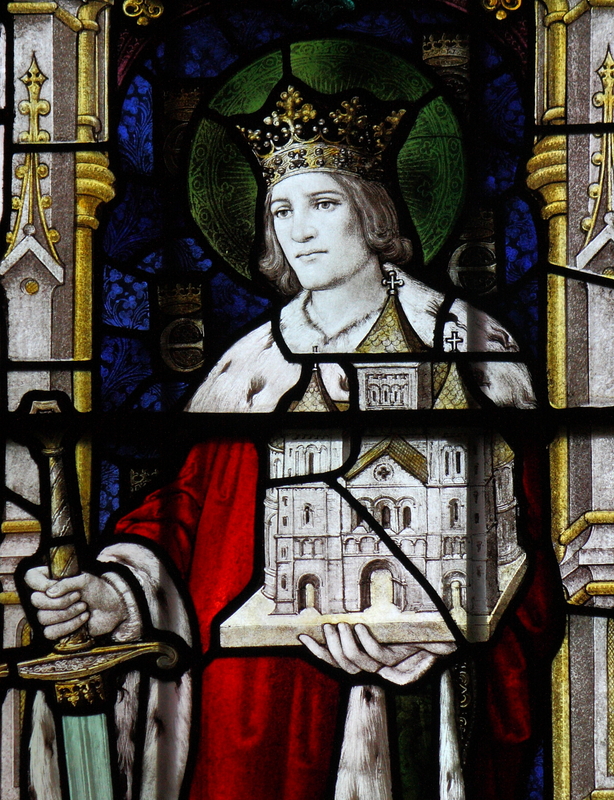 However, even more so, it is the name of a Northumbrian Anglo-Saxon king and saint (St Edwin). Yet there is one more reason we chose it. My father-in-law’s name is Edward (bliss-guard) and we wanted to represent him in our names as well, so both are Ed (bliss). Arthur is one of those names where we don’t know what it means. It could be Welsh in origin and mean bear; it could be from the Roman surname Arturius. Whatever the case, we chose it as representing our time here in England since it is the name of perhaps the most famous king who ever lived on this island. Russell is French in origin. It comes from a French surname meaning little red one. Now it seems unlikely Edwyn will be a ginger (though he and his brother may have some in their beards as I do). This is, however, my middle name is the first name of my father. We wanted to make sure that represented our families as much as possible. Our surname is Mosley which is English surname meaning, probably, the mossy lea, or the mouse’s lea. However, this is an adopted surname. When my father was about a year old his father died and his mother remarried a man called Mosley. Originally, my father’s surname was Perkins, a Welsh surname which means son or kin of Peter. Coincidentally, my wife’s maiden name is Peterson (though not spelled the usual way, her maiden name is Danish in origin), which of course means the same thing. Names are important, and our children have been named after kings, saints, and family. What effect these names will have on them I cannot predict. I can say, however, that being so dedicated to God and named after those who were as well, they will undoubtedly in some way help bring God’s kingdom to Earth as we await Christ’s return. P.S. It is also important that by sheer happenstance, when we named our boys Theodore and Edwyn, we had not realised at first that we had given them excellent twin nicknames, Teddy and Eddy. I’ve been a bit busy lately. My wife just gave birth to our twin boys on 1 May. We’re excited, but exhausted. So, until I have a chance to return to blogging, you should check out this summer reading group put together by Christ and University. 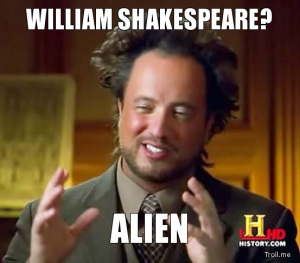 We’re reading Shakespeare this Summer, so join in on the fun. If you are interested in reading Shakespeare with me this summer (and if you aren’t, for shame! ), here’s the schedule that I’ve come up with. Feel free to jump in for a play or two (or all five!). I think this will be a fun way to wander through these long summer days. To be perfectly honest, these are very short plays and could probably be read in one or two sittings. But I thought it would be nice to go through them leisurely together. That’s one of the reasons why I want to read Shakespeare this summer: to take time to relish the language, the structure, the characters, and the plot.